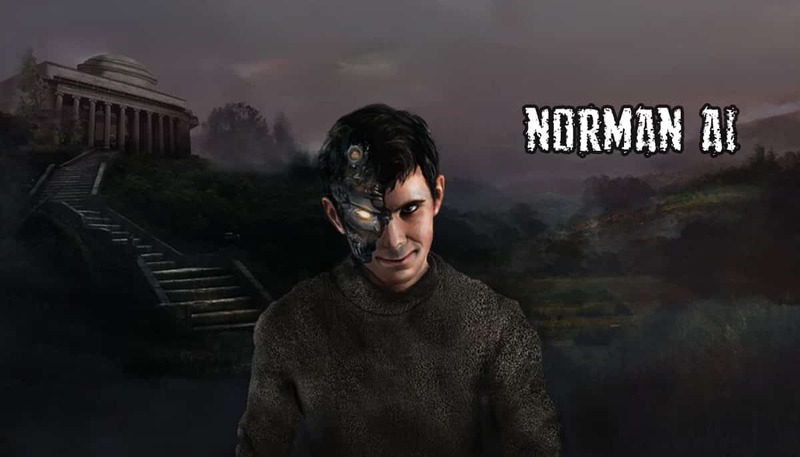 The Massachusetts Institute of Technology have created their first AI which is Psychopathic and creepy at the same time and named it Norman, though the Ai is oddly optimistic & lively but at the same time is a creepy combination of “Norman Bates” inspired from 1960s Alfred Hitchcock Movie “Psycho” and a robot which stares at you constantly and dares you to “explore what Norman sees”, find it out how dark and creepy Norman is here. Norman was a result of an experiment conducted by the Massachusetts Institute of technology to find how an AI will react when trained on data from all the dark corners of our net and what would be the AI’s view on the world through that data set. Norman is a proof of the theory that the data set which is used to train the AI would affect his behavior to a great level. As seen from above link you would find that Norman only sees darkness in the pictures and in some way relates it to the dark and creepy things, but still, we can say Norman AI thinks more rationally compared to our simple other AIs. Researchers have further explained that Norman AI reacts in this way because he was exposed to almost all the darkest corners of Reddit. This experiment of Norman also proves the dangers an AI can possess when subjected to the biased data set and using them in Machine Learning Algorithms. Norman is an AI which is specifically limited to captioning of Images, a popular deep Learning method generally referred as Image Classification in which AI provides relative text to the picture given to him. Beside the dark data sat Norman was also exposed to a dark Reddit documentary which was dedicated to note and observe the disturbing realities of a death and causes of it. After it was trained through this data set, as shown in the link they compared the Norman AIs captioning with the regular AI’s and the vast difference in which they classified the image could be noticed without any problem. Though this was not the first time when MIT decided to explore the dark side of an AI, in 2016 MIT created “Nightmare Machine” for AI- generated scary Imagery. It was done to answer the question asked b millions of people that can Ai not only detect but also induce extreme emotions (like fears) in humans. Later on, in 2017 they created Shelley, which was world’s first AI horror writer.